Skype was once the leader of the pack when it came to video calls. However, with strong competition from other messaging apps that incorporate their own video options, Skype seemed to fade away into the background. Microsoft is not giving up on the service though and is testing a new update that they hope will revive the app and make it relevant again. Users quickly and widely adopted being able to react with emojis during Facebook live-streaming videos last year. Following this success, Skype has introduced a feature that makes it possible to throw emoticons, live text and real-time photos into your video calls. Along the same lines, messaging reactions make it possible to quickly respond to the chat with an emoticon. Skype suggests that the reactions be used for voting, showing excitement or just for fun – but let’s be honest, we’re all guilty of using emoji reactions as an alternative for when you can’t be bothered tapping out a message. This feature allows users to quickly and easily capture a moment whilst using the messaging service. During a chat, users can simply swipe left to access their camera, snap a photo, personalise it by adding emoticons, stickers or annotations, and share it instantly to the chat. 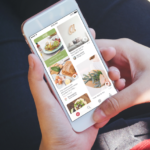 The find panel is the last new feature and allows users to find and share news, sports results, restaurants, the weather, videos and more to friends without ever leaving the app. A win-win as it’s a super user-friendly feature, yet also great for Skype as it should mean users don’t get distracted opening other apps. 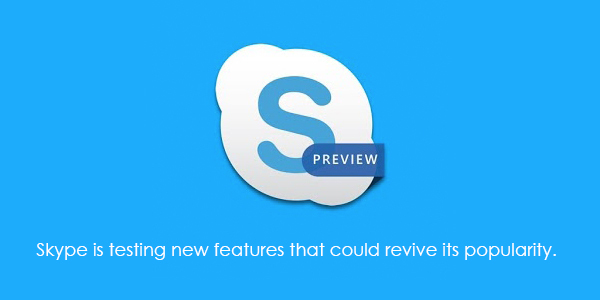 Skype Preview is how Microsoft is testing the new features. It is available now on Google Play for Android users. However, the iOS preview is only available in limited capacity through Apple’s TestFlight, which means users have to apply to become a Skype Insider for iOS and, if selected, will get an email invitation to download the app preview. Skype reiterate in their post that the update is a work in progress, and the preview version is designed to generate feedback. On the surface, the new features look great so keep your eyes peeled as they may roll out sooner, rather than later.